The teen/coming of age drama has really had its ebbs and flows in recent years. While standouts like Boyhood and The Spectacular Now have popped up as standard bearers for the best of what that genre can produce, let's just say there tend to be a good deal more The Way, Way Backs than there are Palo Altos. 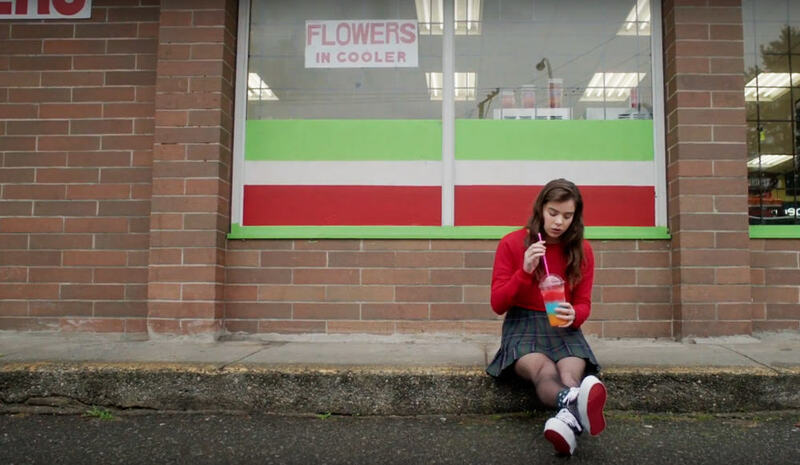 So it's with great excitement that I can say that The Edge of Seventeen continues the path forward of that very intriguing Gia Coppola film, but does so under the broader interests of something that Diablo Cody might craft up. Kelly Fremon Craig has, with this debut effort, designed something that could be labeled as a bit of a millennial version of Fast Times at Ridgemont High, positing a sincere portrait of upper middle class adolescence and the struggle to belong while also trying to be as original as possible. As someone who sits kind of in between the end of Generation X and the beginning of the Millennials, I can find a lot to identify with in Nadine's struggle to understand the generation that surrounds her. I never quite had those same issues, there were no iPhones when I was in high school...we didn't even have particularly reliable internet my entire high school experience. So, there's a bit of a quality to Nadine that hearkens more to the generation I grew up in - a sort of weird in-betweener group that held that same interests and attitudes of Generation X, but was a bit of a poorer facsimile in some ways - sort of a Silverchair to their Nirvana. It's an interesting thematic piece to take on, even if it's not really the fulcrum of the movie, it's what strikes the most immediately. This disconnect is played to its best extent in the interactions between Nadine and her teacher, and go-to source of emotional sound boarding, Mr. Bruner. It's here where you get some of the best back and forth of the entire film, and even when the plot wants to veer into slightly maudlin territory, it usually is ripped right back into shape when both Hailee Steinfeld and Woody Harrelson are on the screen. The misunderstood teen and the uninterested, but still compassionate, high school instructor. For Steinfeld epsecially, this is the "comeback" vehicle she's needed to follow-up her mega-breakout in True Grit, which feels like it was ages ago. She perfectly inhabits the role of a teen carrying years that far outweigh those of her actual number, and her outsider fragility is eerily both familiar and comforting. It helps that she's also playing off some tremendously funny material that gets better as the running time rolls on. The plot of the film doesn't really sound like something that should be considered all that revolutionary or even novel: two girls are best friends, one of them gets romantically involved with the other's older brother, and it creates what looks to be irreconcilable strife between the two. On the surface, it's rather been there, done that, but it's the way these characters are sketched out and their various points of growth are elaborated upon from this familiar jumping off point that allows Craig's script to sore. This is a young woman who is struggling to overcome the loss of her father, juxtaposed with a brother who has had to be the main familial organizer in the wake of that loss. There's a real, heavy weight impacting both of these youths and really it's one of the better looks at how unexpected bereavement can impact and change the course of a family altogether. There's a certain moment towards its close that left me pretty shaken emotionally, and it comes off some blisteringly raw dialogue from Blake Jenner, another standout. The movie never quite veers into teary-eyed environs, but it's a narrative that understands both what it is and what it needs to be, while also attempting to broaden its scope just enough that it provides some element of hope for a genre that constantly threatens to go pretty stale. This is a filmmaker to keep an eye out for.